The Muruca framework is currently used by several Digital Libraries. 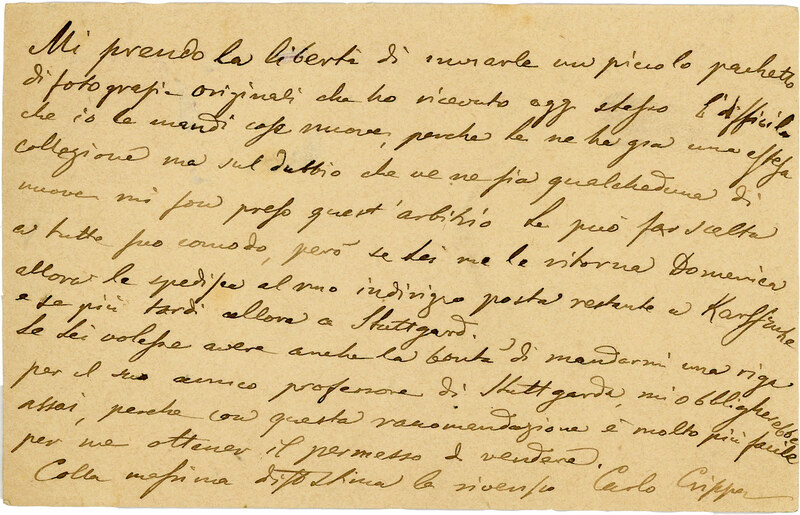 Burckhardtsource is the Digital Library of the correspondence to Jacob Burckhardt. It includes manuscripts, diplomatic transcriptions, metadata and a semantic edition based on Pundit. Content and metadata can be searched through an advanced browsing system. Data are visualized through a timeline and a map. Galassia Ariosto is the Digital Library of the ERC AdG project “Looking at words through images”, leaded by Lina Bolzoni, CTL-SNS. The CTL team has always been interested in studying the relation between text and illustrations, mostly focusing on the first chivalric poems that were printed in Venice starting in the 16th century. The project Galassia Ariosto is a in-depth study of the relations between the text of Orlando furioso (and other chivalric poems like La Gerusalemme Liberata, Orlando Innamorato, Tredici canti del Floridoro) and the illustrations sets that were produced to enrich the text. A back-end system that allows the team to perform their research, inserting images, texts, comments, entities and building relations between all those elements, including portions of images and texts. A front-end user interface to make all this work public and accessible to the world. 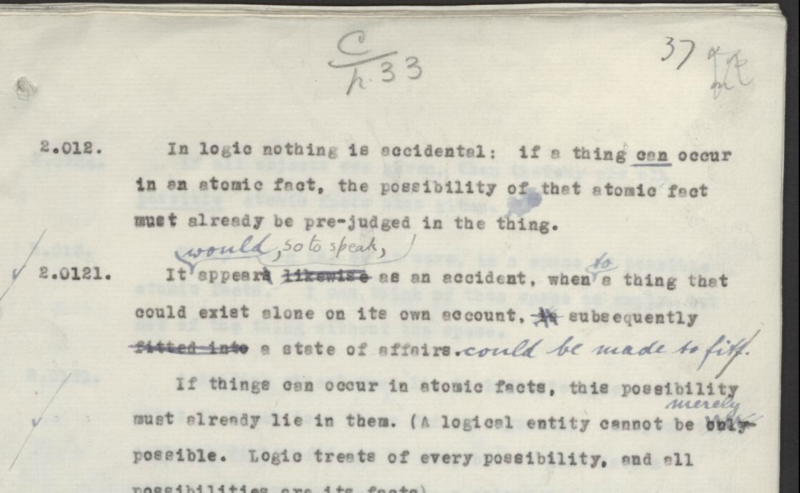 Wittgensteinsource, a platform run by the Wittgenstein Archives at the University of Bergen in Norway, provides free access to Wittgenstein primary sources, including the Bergen Facsimile Edition (BFE) and the Bergen Text Edition (BTE) of 5000 pages of Wittgenstein’s Nachlass. 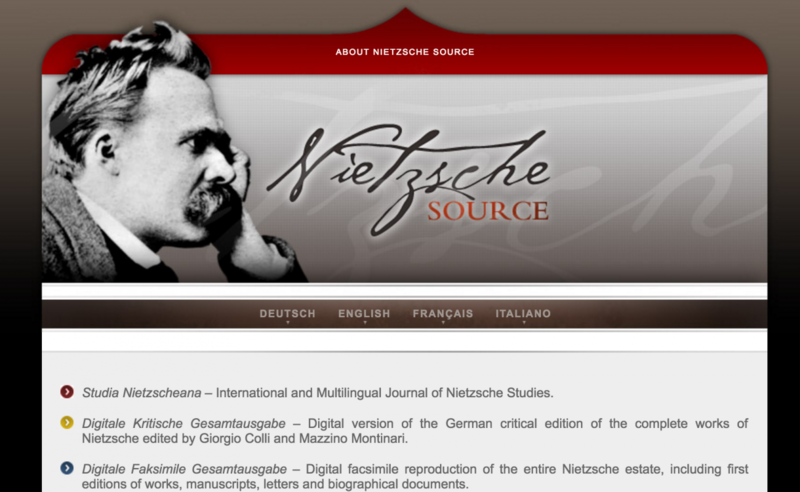 Nietzschesource is a website devoted to the publication of scholarly content on the work and life of Friedrich Nietzsche. All publications are peer-reviewed and aspire to meet the highest quality standards. The website is managed by the Nietzsche Source Organization (formerly, the Association HyperNietzsche), a non-profit organisation hosted at the École normale supérieure in Paris. 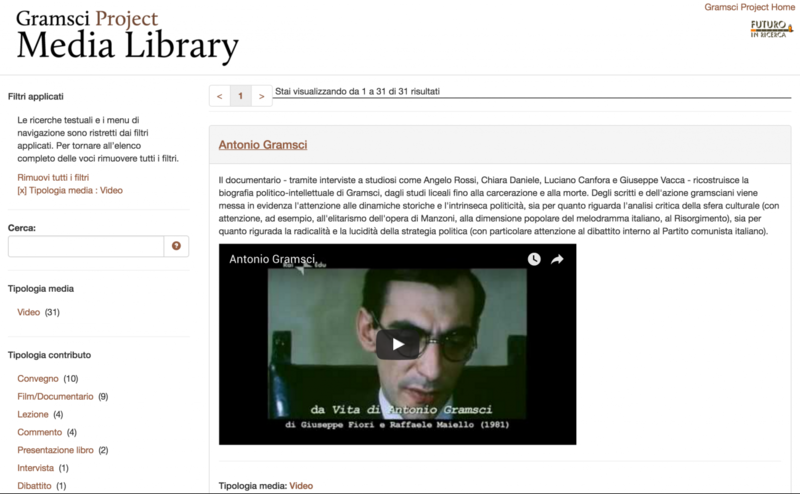 Gramsciproject Digital Library is the platform through which the International Gramsci Society (IGS) provides the works of Antonio Gramsci in digital format. This work will continue to grow and will include all the works of Gramsci and their translation into many languages, as well as copies of manuscripts of major works and the digitization of various historical and critical texts of Gramsci. The project was financed by an FIRB (2013-2015). Daphnet, Digital Archives of PHilosophical texts on the NET, is a federation of four digital archives on Presocratics, Socratics, Laertius and Modern Philosophy. It brings together collecting texts belonging to the history of scientific and philosophical thought. Daphnet is run by ILIESI-CNR. Daphnet’s archives are primarily aimed at giving access to primary sources, complemented by secondary sources and critical scholarly instruments. 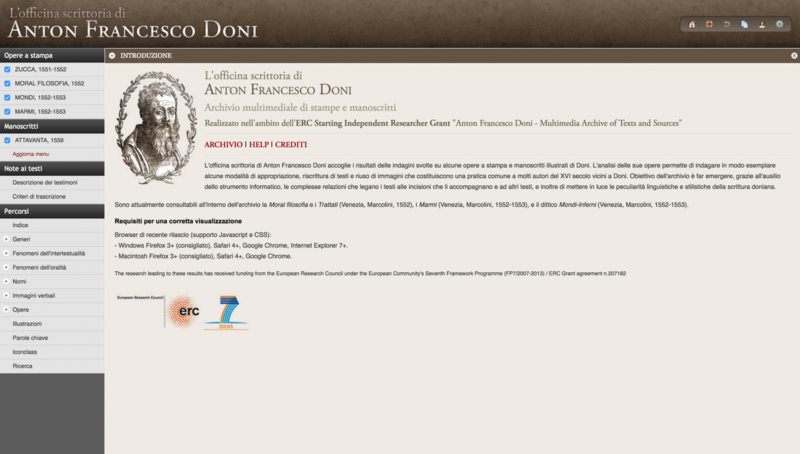 L’officina scrittoria di Anton Francesco Doni is a multimedia archive on the work of the 16th century writer Anton Francesco Doni. The archive is run by the CTL Lab of the Scuola Normale Superiore of Pisa. It currently hosts two digital editions of Doni’s works, which are the result of a study on how Doni’s texts and images have been reused in other works. 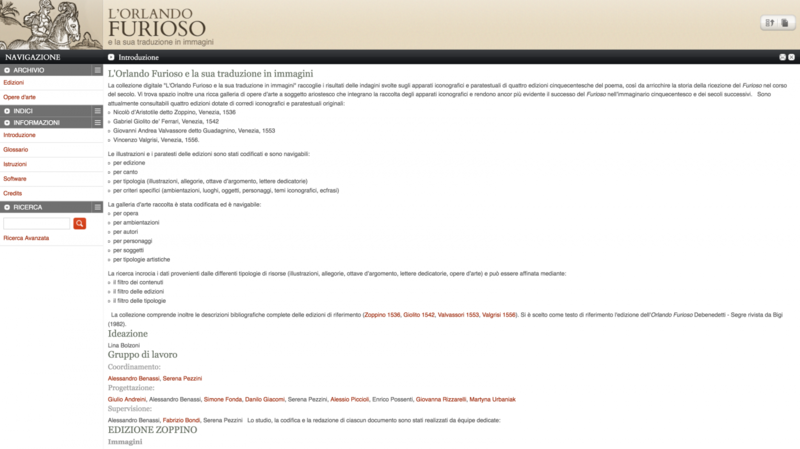 The Orlando Furioso Digital Library contains several editions of the Orlando Furioso. The Orlando Furioso research project is run by the CTL Lab at the Scuola Normale Superiore of Pisa. The aim is to contribute to the debate, on the levels of both theory and applications, concerning the forms and functions of the word/image nexus in the visual and literary culture of the High Renaissance. Project leaded by Alberto Beniscelli, Raffaele Mellace, William Spaggiari and Corrado Viola. Editorial Board: Dipartimento di Italianistica, Università di Genova – Luca Beltrami, Emanuela Chichiriccò, Andrea Lanzola, Matteo Navone, Giordano Rodda, Francesco Sorrenti. The project, currently under construction, is about the complete edition of Pietro Metastasio’s correspondence, composed of about 2500 letters dating back to the period 1730-1782. 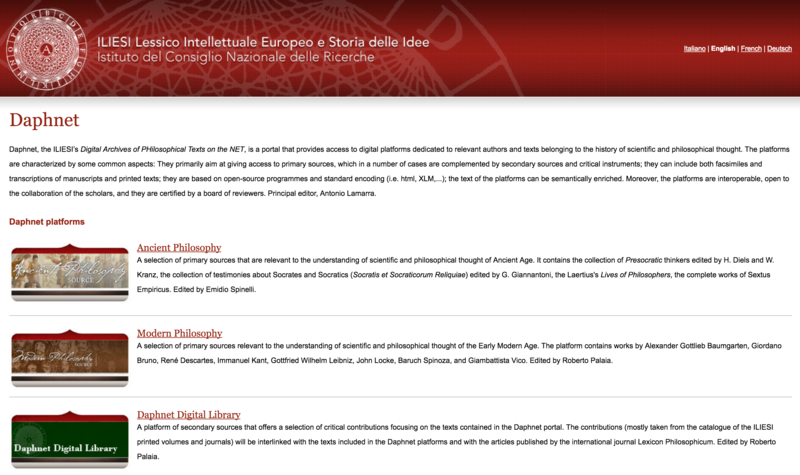 Coordinated by the Department of Italian Studies of the University of Genoa, it sees the participation of scholars from various Italian universities (Rome, Naples, Pavia, Verona, Milan, Modena, Venice) and European universities (Vienna, Klagenfurt, Santiago de Compostela, Toulouse), in close connection with the Eighteenth-century Epistolary Research Center (CRES). To enable the work of the research team after research conducted in the major libraries of Europe, starting from the National Vienna, an advanced database was prepared, developed in close collaboration with Net7.